Blesbok Antelope are native to South Africa where they prefer the open plains. 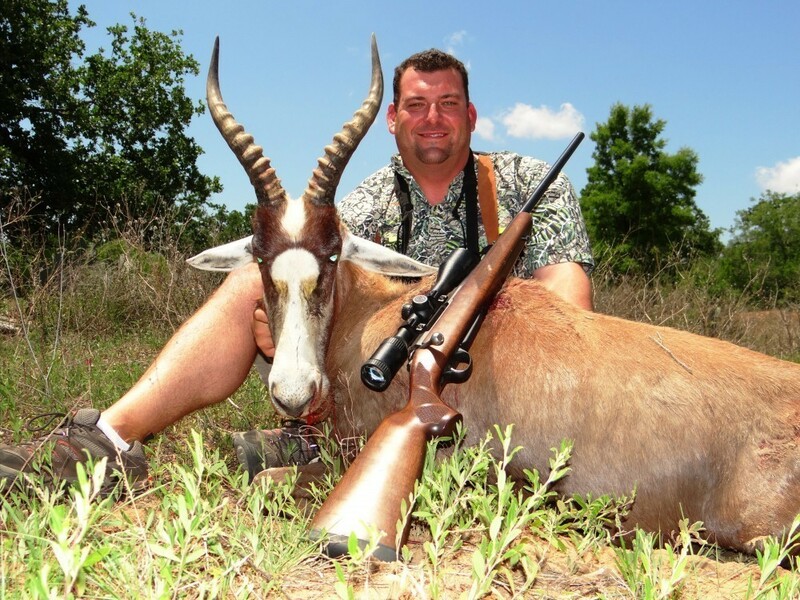 The name Blesbok is Afrikans for Blaze (Bles) Buck (Bok) due to the white blaze down the front of their head. They were nearly hunted to extinction over 100 years ago for their meat and hide which is red to black and quite unique. They are not overly common in Texas but reproduce well in the wild. We have a herd of opproximately 40 animals and you will usually find them in open fields. The bulls are very territorial and will have as many as 20 females in a group. They are a medium sized antelope weighing about 150 pounds and both males and females will have horns from 14-17” at maturity. The bulls horns are easily identifiable as they are much heavier.